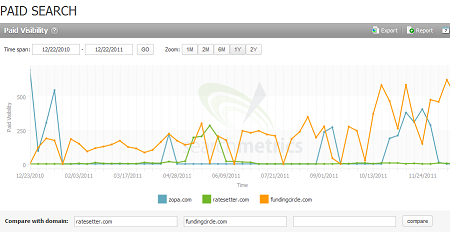 I did some research on use of Google Adwords in the online marketing strategy of Zopa, Funding Circle and Ratesetter. Who is most active in search engine advertising? I was surprised to see that Funding Circle is the most active in advertising on Google Adwords. The chart shows that Fundingcircle had active ads nearly the whole year, while Zopa ran the ads only for certain intervals and Ratesetter only gave it a small try. Zopa CEO Giles Andrews told P2P-Banking.com some time ago that Zopa never needed to do marketing to win investors, as PR and word of mouth lead to a steady influx of lenders. I knew this to be true for some other countries too. 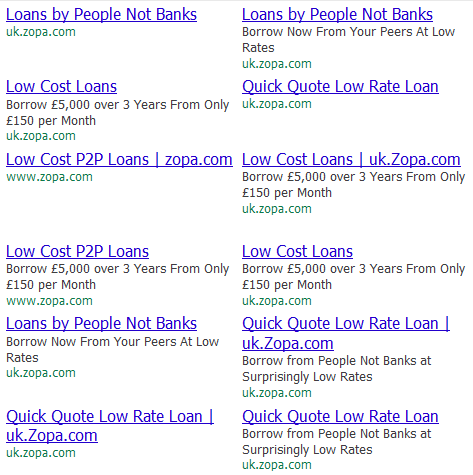 Consequently Zopa ads only target Borrowers. I was more surprised that Funding Circle and Ratesetter target both borrowers and lenders. Which ads and keywords is Funding Circle using on Adwords? Fundingcircle is running a very wide set of ads. The following is just a small sample of ad texts out of the total set of about 382 ad variations Funding Circle was running in November 2011. 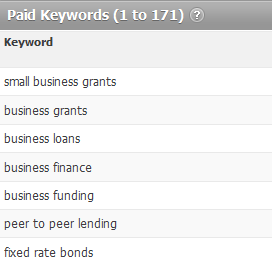 Fundingcircle also used or at least tested a wide range of keywords for the Adwords campaign. I found a total of 171 keywords used in November 2011. In order not to disclose too much to the competitors I only publish a small selection. Most of the keywords used are highly competitive, with a high CPC, which is about 1.90 GBP (approx. 3 US$) per click. 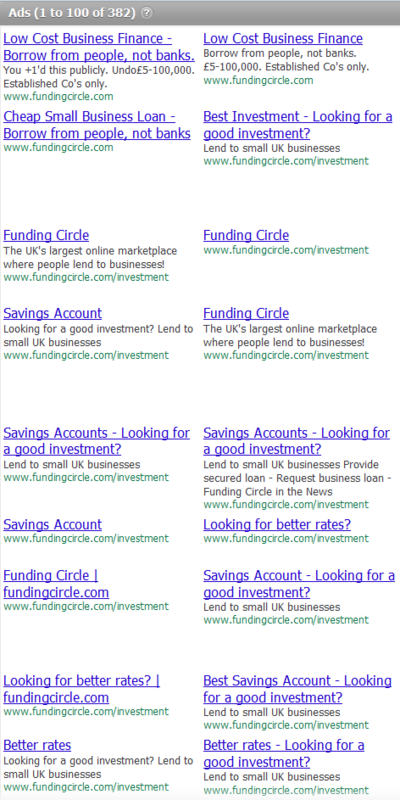 I would assume that Fundingcircle spent a budget of about 1,500 to 2,500 GBP per months on Adwords (based on the finding for November). 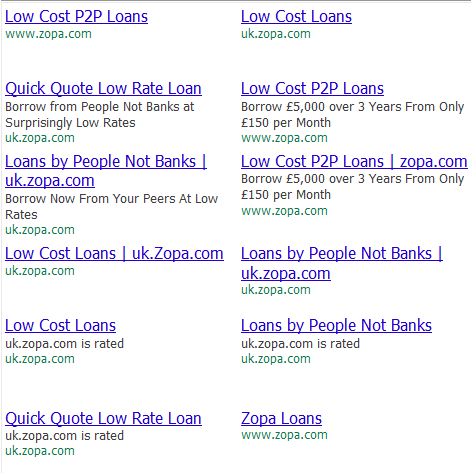 How is Zopa advertising on Adwords? Zopa is using a smaller set of ads. I found 24 ad variations running in November (sample below). Maybe Zopa did already test a lot in the past and now concentrates on the most productive. Focus of ad text is either on low cost, quickness, or the people instead of banks aspect. What ad texts is Ratesetter running on Adwords? For Ratesetter I found only3 different ad texts (sample below).